You want to enjoy your favourite spray pattern – revitalizing or relaxing, stimulating or soothing – and you want to switch patterns easily. 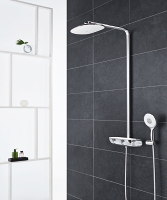 You want your shower at exactly the right temperature – whether tension-busting hot, blood pumping cold or just comfortably warm. And of course you’re conscious of using exactly the right amount of water that you need. 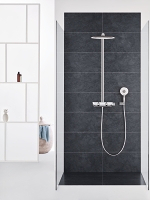 With the new GROHE Rainshower® SmartControl 360 shower system you’ll enjoy this personalised and luxurious showering experience every day. 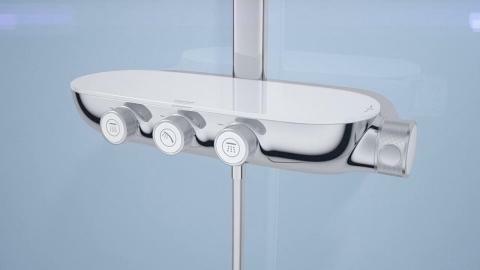 The new innovative controls offer direct intuitive spray-pattern selection with a personalised volume setting and memory function. 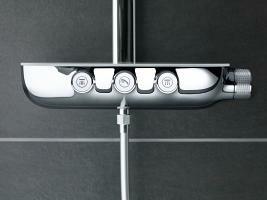 Simply push to start and stop then turn to adjust the water flow. 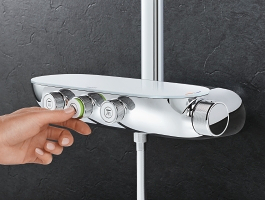 The innovative GROHE SmartControl technology lets you choose your preferred spray pattern and adjust the water flow as desired. Operation is simple and easy for all the family - including children.That's Smart. 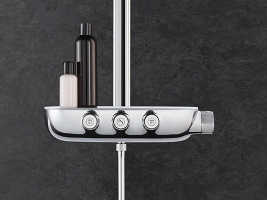 GROHE TurboStat® technology lies at the heart of this shower system. 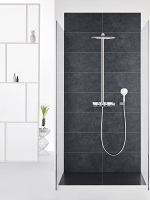 The thermo-element's unrivalled sensitivity means it delivers water at the desired temperature within a fraction of a second - and keeps it consistant for the duration of your shower. 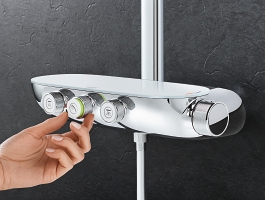 Push the button to start the shower. Emotions guide actions. Let yourself drift away while maintaining control. Organic shapes that beautifully caress the senses will help you reach this goal. Enjoy the perfect interaction of organic design and innovative technology and anticipate a relaxed time-out from everyday life. 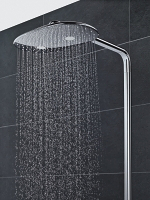 GROHE has a long heritage of creating high-end showers – made in Lahr, Germany to the very highest of standards.